On Tuesday, Apple quietly released a slew of product updates that included a more affordable iPad device with an enhanced display. Apple’s newest iPad model features a brighter display (2,048 x 1,536 resolution), with more than 3.1 million pixels designed to enhance the quality of photos and videos. As for construction, it will retain its 9.7-inch screen size, discrete glass panel and aluminum unibody enclosure. With prices starting at $329, it is comparable to the iPad Air 2, which the company phased out from its line-up of tablets. 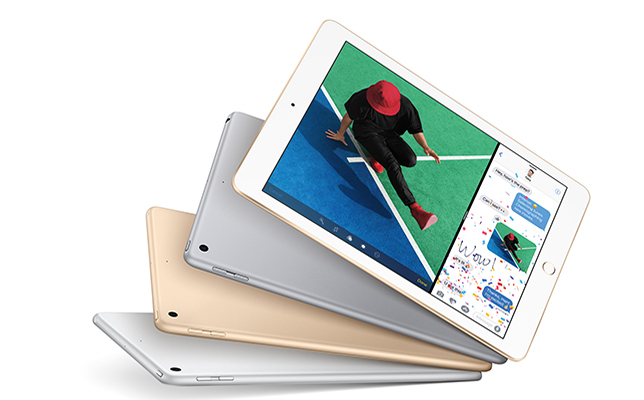 It offers a swifter 64-bit A9 processor (compared to the iPad Air 2 which used an A8X chip). However, it still falls behind the iPhone 7 and iPhone 7 Plus, with their A10 processors, in processing power. “New customers and anyone looking to upgrade will love this new iPad for use at home, in school and for work, with its gorgeous Retina display, our powerful A9 chip and access to the more than 1.3 million apps designed specifically for it,” said Philip Schiller, senior vice president of worldwide marketing for Apple, in a prepared statement. The new iPad model will be available to order beginning March 24.